This stunning beach-front swimming pool and outdoor relaxation area provides the ultimate antidote to busy city life and shared the title of Residential Outdoor Pool over £120k at the recent UK Pool & Spa Awards. 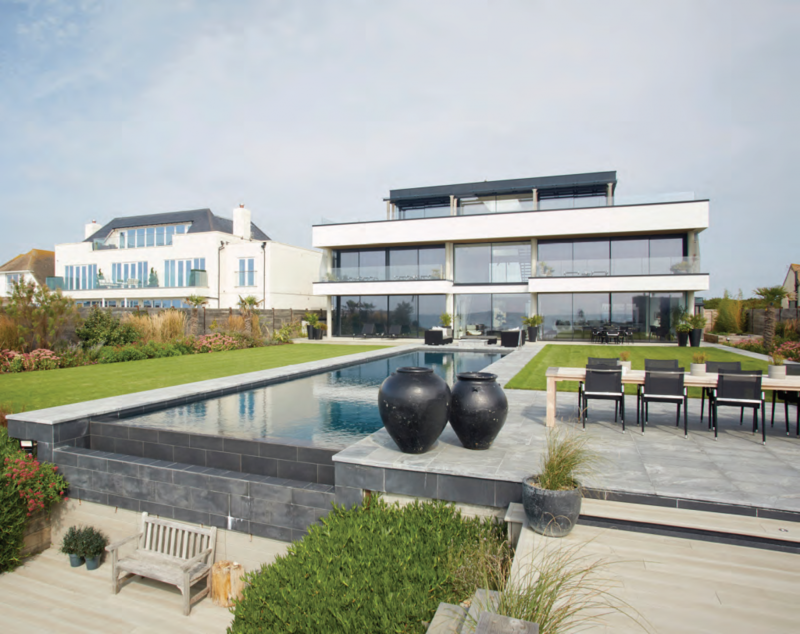 Carrying a price tag over £150k, the Guncast Swimming Pools project, features a pool with a breath-taking infinity edge that overlooks the English Channel. Finished with sophisticated dark grey porcelain tiles that beautifully mirror the glass elevations of the main house. Offering alfresco dining, hot tub and multiple relaxation areas, the pool was designed to be the maximum available length of 19m with an elegant proportional width of 4.7m creating a lap pool with an infinity edge overlooking the English Channel. Polished stainless steel strips in the pool floor offer advance warning to swimmers approaching the end of the pool. Established in the 1970s by founder Bruce Harding, now run by his son Jack, Guncast is a multiple award winner, perfecting the art of luxury swimming pool, spa and wellness creation. 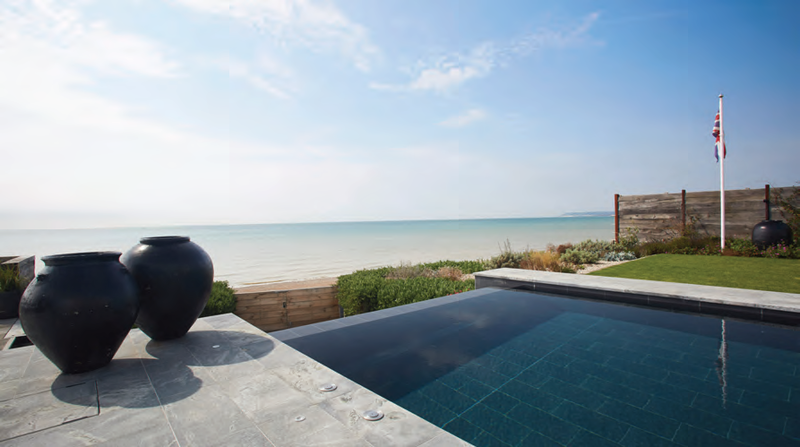 With an unrivalled reputation for superior design and build, the swimming pool designers at Guncast consider each aspect of the project, from the individual client’s needs to the environment itself, ensuring the finished pool reflects the unique style of both. From natural stones tiles like marble, limestone, sandstone and slate to resplendent Italian glass mosaic and porcelain tiles, a Guncast swimming pool is always finished to the highest of standards.